1 Family Owned & Operated. -Certified Installers: Every year we spend plenty of time on expending our knowledge to better serve our customers. Our Installers are Armstrong certified. We are also Endorsed Pergo installer for laminate flooring, Shaw Industries Factory Trained, and Carpet & Rug Institute. We go the extra mile to make your flooring project special. We offer decorating advice on new and innovative ways to use our products. For instance, we can make your back splash and tile floor special by inserting unique patterns to make your floor one of a kind. We can also add a contrasting border or medallion in your wood floor, customized to your taste. Our design experience gives you the opportunity to own a one of a kind floor. 5 Member of Tom Martini Troubleshooter - Referral list. The Troubleshooter Network was created by Tom Martino to disseminate all of the valuable information gathered by Tom, his staff, trusted experts and listeners. While Tom’s radio shows are at the heart of this effort, TN’s reach is not limited to the radio airwaves. The network also provides troubleshooter.com – a comprehensive website featuring a wealth of consumer information plus ReferralList.com – Pre-screened and monitored merchants and service professionals. The Referral List is unlike any referral list in existence. Its track record stands alone when it comes to consumer trust and loyalty. Businesses cannot simply buy a membership. They must first qualify to be members by showing a track record of excellent customer service. In addition, they must demonstrate a willingness to continue meeting high business standards by agreeing to a strict code of ethics and an arbitration arrangement for settling disputes. We offer True 100% one year Installation Warranty on all Carpet, Hardwood, Ceramic Tile, Laminate, showers,bath tub, Walls, and Granite Counter Top, plus the Manufacturer warrany, (We will Mach any Written Warranty from Local Competitors). -Free CONSULTATION: When you are looking for a company you trust for complete correct information and the FAIREST PRICE around, Lone Star Floors will show you why we are the professionals other professionals count on for great installations. We are sure that whatever your flooring needs, we're qualified to handle them. In fact, that's why we offer our NO COST-NO OBLIGATION FREE FLOORING CONSULTATION. Lone Star Floors is part of an elite group of key floor covering retailers throughout the country, participating in Shaw's most comprehensive retail program, are known as Shaw Design Centers. Shaw design centers offer … Organization Categories of floors are grouped in a way that makes it easier to understand your options and to decide what floor will best fit your needs. Information On The Product, At the Product Product details and warranty information are readily available to you while you are shopping the showroom floor. 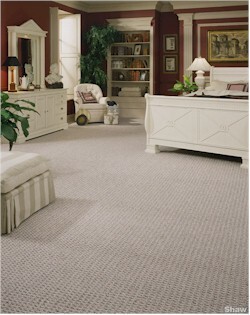 Shaw's Star Assurance program also helps you know what features to look for when shopping for carpets and other floors. Confidence You can shop with confidence knowing that Lone Star Floors is recognized in the industry for excellent product selection and knowledge and outstanding customer service. Selection At Lone Star floors whether you're shopping for carpet, ceramic, laminate, hardwood, or rugs, you will be able to choose from Shaw's complete spectrum of products. Excellence You can be assured that your selections will be manufactured to the highest standards and supported by warranties that will provide peace-of-mind for years to come. Confidence Abundant options and proven excellence are the first steps to beautiful flooring, but not the last. About Mohawk ColorCenter Mohawk Industries established the Color Center Program in 1974 to help floor covering dealers become more knowledgeable about the products they are selling. This program has now become the blueprint for successful retailer manufacturer alliances. As Lone Star Floors a Mohawk Color Center dealer is an Authorized Mohawk dealer offering a majority selection of the finest products Mohawk manufactures and sells. Consumers desiring the best in product selection, quality, and value for their homes are able to fill all their flooring needs at one place. Our warranties are extended on all stainmaster private labeled styles. **Consumers can receive the Consumer Green Rebate of a $1.50/yard towards their next purchase of any Shaw Anso® Premier carpet style. **As an Anso Premier Dealer our warranties are extended on all Anso® Premier private labeled styles. How to be a better Lone Star Floors Customer. 10 ways to be a better customer: 1.Keep it real: Don’t expect to add extras to a job and not pay more or change expectations midway through the project and not be flexible with the budget. 2.Ask questions: Don’t make assumptions. If you’re unfamiliar with the service being provided, learn more by asking. 3.Communicate and return phone calls: Be honest and upfront about what you want and expect. We also want to know where you stand on a project and why customers decide to give work to someone else. 4.Act professionally: If you want your service provider to do a good job, show him or her respect. If you have to cancel an appointment, give enough time (at least 1 hour) so you’re not wasting the company’s time. 5.Keep an open mind: You’re not going to get a castle for the price of a shack. Never base your hiring decision only on the cheapest option or you will likely get what you paid for. Also compare apples to apples - while one option may be cheaper, how does the quality of materials compare? 6.Don’t be irrational: If something negative happens during the job or service, don’t become irate or obscene. Be civil. If you’re dealing with a good service company, they will want to fix the problem. 7.Pay on time: You hired the Lone Star Floors for a service; if we’ve delivered – pay us. Always pay with a credit card so you have recourse in case something goes wrong. 8.Follow the Golden Rule: Treat the company with respect, even in the way you explain your complaint. For example, if it appears a repair has not worked, rather than accusing the company of doing the job "wrong," let us know you’re still having the same problem and are in need of our help. 9.Reward good behavior: If you are a satisfied customer, let the company know. Write a letter thanking that employee who went out of their way. 10.Offer constructive criticism: Is there a way the company can improve a service or product? Even great companies can use improvement. If we asks for your input in a survey or questionnaire, give it to them. Take the time to share your opinion, the good and the bad. Just as consumers don’t like it when they call for help and don’t get a return call, Lone Star Floors don’t like it when they invest a lot of time to provide an estimate and never hear that their bid hasn’t been accepted. More than half of the companies surveyed expect to hear from a customer after giving an estimate whether they want to move forward or not. 1- All products are not the same. Be sure to understand performance difference or products and be sure to purchase value and not just the lowest price. 2- Installation is just as important as the products you select. Inferior installation will diminish the look and performance of your flooring and can even void many manufacturers warranties. 3- Be sure that quotes are 'inclusive' of the total project cost. Some flooring company may provide quotes that do not include elements that are required in order to complete the project. 4- Expect a company's best price up front. Some companies may play gamed with pricing and may not be giving you their best price up front. 5- Flooring is Remodeling. Understand that a project that is properly installed may create a temporary inconvenience in your home. 6- Get all guarantees, warranties and promises in writing. 7- It is very important for the contractor to be attentive to your specific needs. The contractor should show you enthusiasm for your project bu suggesting ways to work within a budget and specific concerns you may have. 8- Communication is key to success on any contracting project, and the more examples of previous work (project) a contractor can relate to your project, the better indicator of quality of that contractor. 9- A contractor should be able to tell you what products and material he would likely use for your project. He should also offer you several options (when applicable) when selecting products, materials and techniques. 10- Ask the contractor for customer references who have projects similar to yours, especially in the case of major projects. 11-Don't assume that just because your house was built "up to code" that there will not be problems that have to be corrected before new floor coverings can be installed. 12- Be sure to view samples in as large a size as possible in your home under a variety of of lights conditions. This will help you make the best color choice.